Sustainable. Green. Eco-friendly. These pro-Earth words mean the world to today’s design lovers! 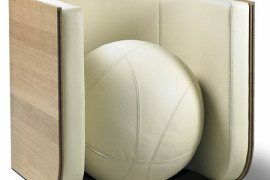 Which is why it was only a matter of time before cardboard furniture became a functional and stylish way to use recyclable materials while celebrating modern design at its best. 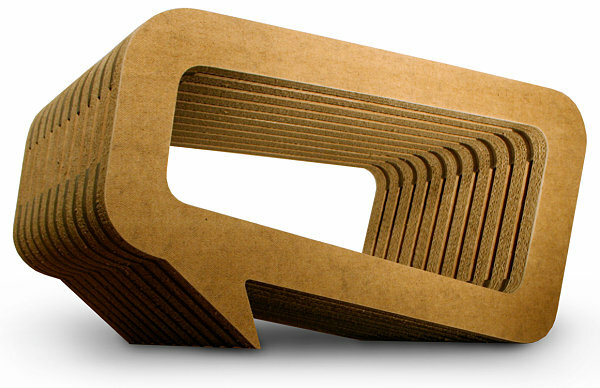 Cardboard? Yes, cardboard! 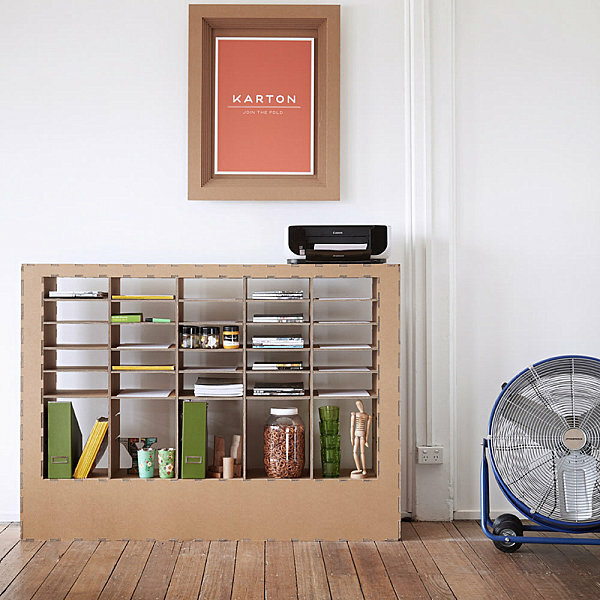 Companies such as Karton are taking cardboard furniture design to new heights, incorporating geometry and sturdiness into each piece. 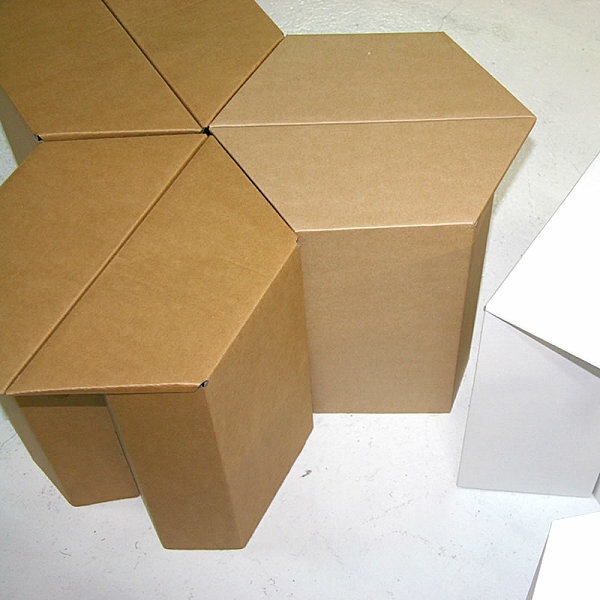 Many cardboard furnishings are super affordable, shipping in packs to maximize your money! 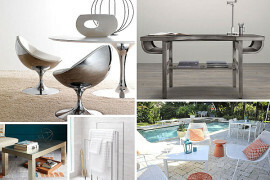 However, we can’t discount the showpieces that mix design and art. And those come with a substantial price tag. 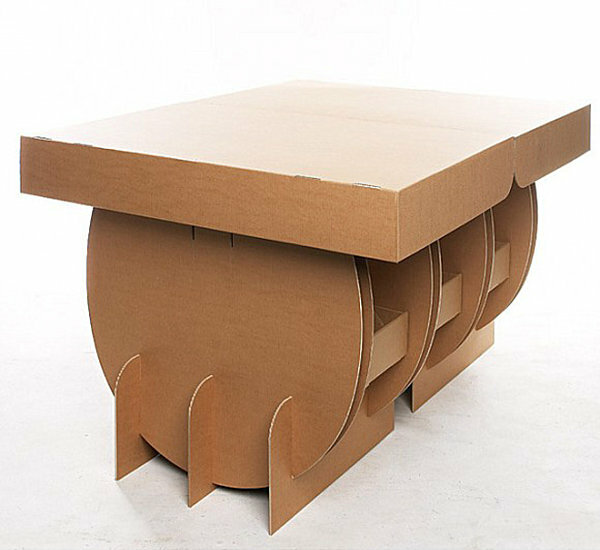 Below we feature an array of unforgettable cardboard designs, from the most budget-friendly pieces to those priceless museum-worthy selections. 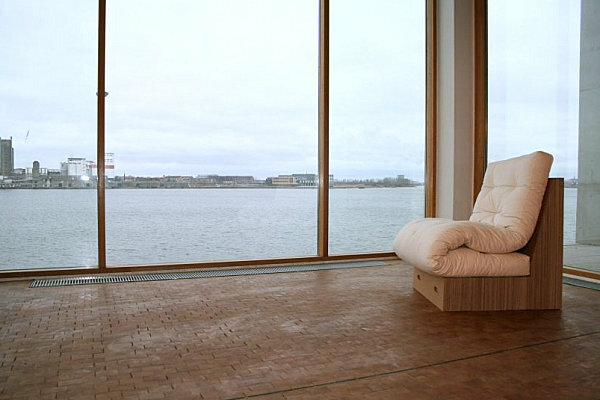 Cardboard furnishings ship easily, they travel well, and when you decide you no longer need them, they can be recycled. And you can’t beat that! We start with the seating. 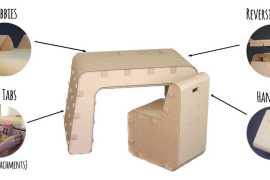 Is cardboard sturdy enough to support human weight? You betcha! The power is in the design, like the solid construction of the Hex Stool from Karton. 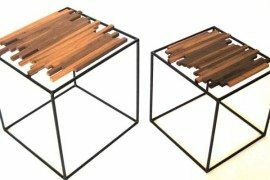 These stools assemble in seconds. 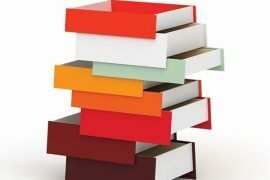 And you can’t beat the price of $78 for 6! Ready to be dazzled? With the many facets of a gemstone, the Bravais Chair from Lazerian was inspired by natural forms, such as the intricate geometry of a wasp’s nest. Yet rather than housing wasps, this chair is fit for an Eco-friendly king! 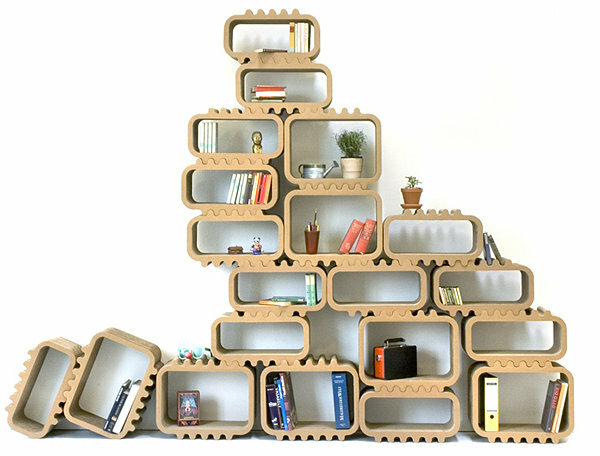 Cardboard shelving lends a modern vibe to the spaces it inhabits. There’s something wonderfully industrial about these clean-lined pieces. For example, The Coop by Karton has plenty of space for storage, and adjustable shelving allows you to customize it to best suit your needs. 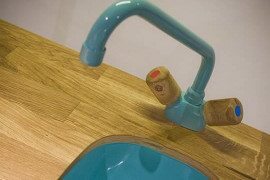 Ready for a DIY idea like no other? 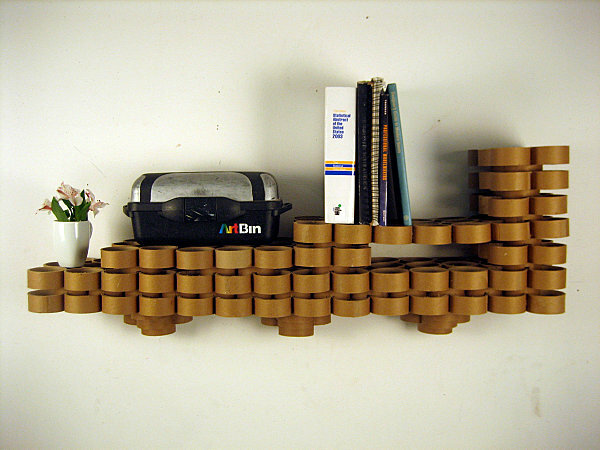 This Cardboard Tube Shelving Unit for the wall was cleverly designed by Tim Peet. 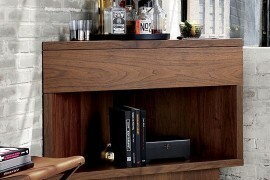 A notch cut method is responsible for the piece’s solid design. For details, see Coroflot. 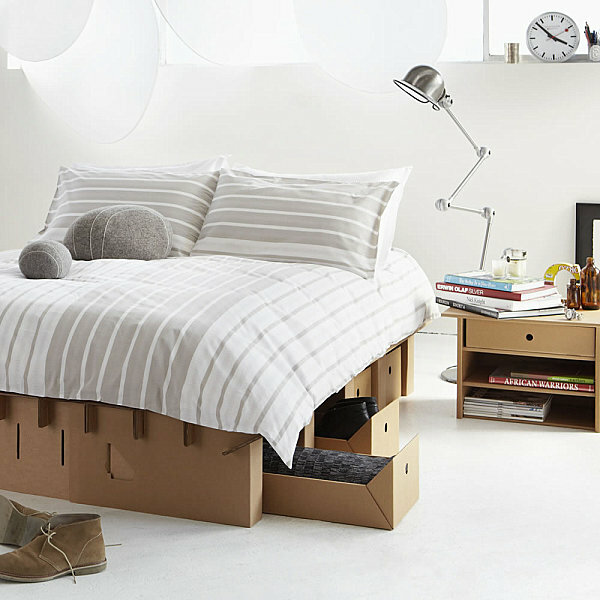 We end today’s post by welcoming cardboard into your sleeping space. Trust us, it’s a good thing! 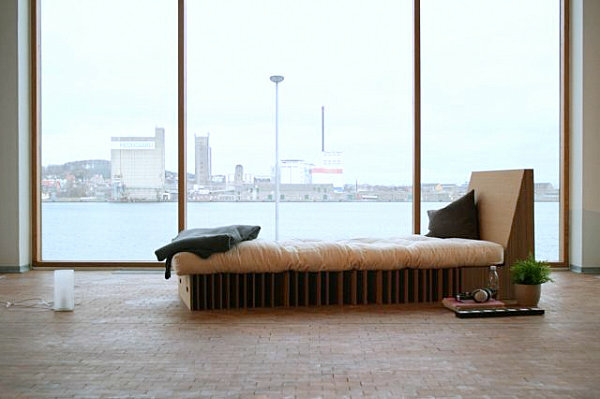 The Paperpedic Bed, Drawers and Bedside Table from Karton take cardboard design to another level. After all, the bed can be converted from a single to a king in mere minutes. 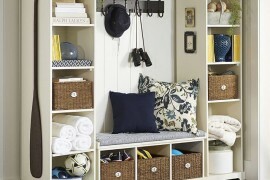 Not to mention, under-bed drawers make hidden storage a reality, while the table can support a lamp, books and anything else your heart desires.